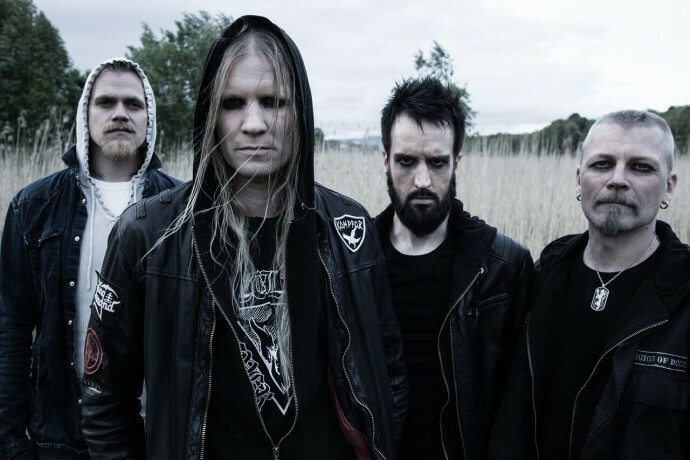 Earlier this year I was lucky enough to witness a show-stealing, career-defining performance by Norwegian legends-in-waiting Kampfar, when they stepped out onto the main stage at Inferno Festival and proceeded to deliver a masterclass in true Black Metal power and spirit, ultimately describing their set as one which “will be spoken of for years to come”. And I still stand by that. Calling the band “legends-in-waiting” is meant as no disservice to them, however. It’s rather an acknowledgement that although the quartet have long since achieved legendary status in certain circles, their wider acclaim has yet to reach the level which should be theirs by right. Yet, by the same token, it’s startling to realise that now, 20 years into their career, Kampfar are in the midst of an ongoing (and seemingly unstoppable) creative and critical renaissance, which began with 2011’s riveting Mare, continuing through last year’s ravenous Djevelmakt, and leading us, in turn, to Profan, their latest slab of sharp-toothed metallic menace. Much like its predecessors, Profan blends massive, cutting-edge riffage and raucous, almost punkish, energy with a sense of dark majesty and grandeur that’s both firmly rooted in the ancestral traditions of Black Metal, yet not utterly beholden to them. And, much like its predecessors, it continues to set an almost ludicrously high bar for those who follow after. It begins, decisively, with the raging “Gloria Ablaze”, Dolk’s gnarled and vicious vocals spitting fire and venom over a visceral array of caustic, scything riffs and clashing drums, all wrapped seamlessly around a massive, irresistible chorus refrain and delivered alongside a hefty helping of low-down, grumbling groove. The red-hot guitar work, dynamic drumming patterns and needle-pointed melodies of “Profan” showcase the impressive instrumental talents of the group – particularly the nimble fingers of Ole Hartvigsen, the band’s chief riff-smith, to whom much of the band’s reinvigorated sense of energy and vitality can be attributed – as they crank out a malicious blend of morbid aggression, doomy melancholy, and humongous, neck-snapping hooks, before the strafing “Icons” turns the intensity up yet another notch with its rampaging riffery and raging undercurrent of searing melody. Though Profan is very much a guitar-centric Black Metal album – packed to the brim with killer riff after killer riff – that’s not to downplay the contributions of the rest of the band, as Dolk’s ravaged and instantly recognisable snarl remains as imperious and imposing as ever before, while Jon Bakker’s bass strings thrum with rumbling, thundering energy throughout each and every track. But it’s drummer Ask (also of Hades Almighty and Krakow) who deserves an extra helping of well-deserved praise, as his performance behind the kit on Profan is nothing short of perfect, never quite stealing focus, yet utterly indispensable all the same. The progressively structured “Skavank” provides ample opportunity to appreciate how vital his talents are, as the song moves seamlessly from the blistering blast-and-groove assault that holds sway during its first several minutes, to the majestic, doomy sway and swagger which comes into play during its second half, energised and electrified by Ask’s rippling kick work and splashy, ever-so-slightly flashy, fills and cymbal hits. The shadow-clad stomp-along of “Daimon” is another obvious high point… on an album with absolutely no low points to speak of… its creepy opening bars soon giving way to a storming gallop of furious drums, razor-blade guitar work, and howling, banshee vocals whose snarling, blackened vitriol – juxtaposed against a series of eerie, droning chants and a truly fantastic, semi-clean chorus melody — gives the track a distinctive dynamic identity all of its own. By contrast “Pole In The Ground” takes a little while to sink its hooks into you, and it’s not until the first iteration of the track’s rabidly infectious chorus that you start to get a real feel what’s going on. But once you’ve come to grips with it – and it, in turn, has a firm grip on you – you’ll discover a song overflowing with spiteful energy and intensity, fuelled by a fiery torrent of relentless blastbeats, that builds to an unexpectedly majestic peak in its second half – all rippling tom-work and sweetly seditious lead guitar – before concluding in an unexpectedly sombre and morose manner. Profan climaxes with the irresistible head-nodding grooves of “Tornekratt”, a grim slow-burner of a track that’s laced with layers of icy harmony, building to one of the most uplifting, all-encompassing moments of pure and “true” Black Metal glory that you’re ever likely to hear, before concluding with a prog-tinged procession of barbed, staccato riffage and visceral, passionate vocal exhortations. So, in conclusion, what have we learned from Profan? Well, for one thing, Kampfar are now (in my estimation at least) 3-for-3 following the regeneration triggered by the induction of Ole Hartvigsen into their ranks. That’s not to downplay their first four albums – they’re held in such high regard for a reason after all – it’s just that since Mare the band’s star has, for whatever reason, been on the rise more than ever before. When it comes right down to it, I can think of no better standard bearers for the true spirit of Norwegian Black Metal than these four mighty warriors… that’s right, not even Taake… and that’s perhaps the highest praise it’s possible to give. Profan will be released by Indie Recordings on November 13. You can order it here. Love the Art. Killer band as well! Nice review. This album is simply amazing. Funnily enough, I think I actually prefer “Djevelmakt”, but they’re all basically interchangeable – in terms of quality I mean – between that, “Mare”, and “Profan”. Yeah, I’m not sure what I prefer but I with each release I’m afraid they are going to slip. But instead they either get better or at least deliver something as good as their previous release. I am still giving this more spins since I just grabbed it yesterday but I am impressed. The tracks I’ve heard from this so far have been stunning. 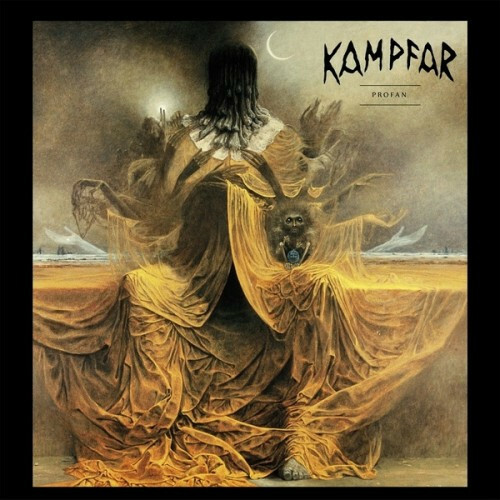 Kampfar truly have been on a tear as of late. Very good review of a very good album. The description of drummer Ask, “his performance behind the kit on Profan is nothing short of perfect, never quite stealing focus, yet utterly indispensable”, simply hit the nail on the head. Pole In The Ground is an absolute favorite in my book.